Over the last 11 months, Apple, Inc., has lost almost $200 billion of value. To understand the size of this loss consider this - there were only 13 companies in the Fortune 500 that were worth more than $200 billion as of March of 2015. Think about that for a moment. The answer is actually quite direct. For years, I have used Apple as an example of what companies of all sizes should do to create their versions of what I like to call a demand creation monopoly. The last year hasn’t been so kind, and assessing the causes can provide some valuable lessons into how we can run our businesses better. To be fair to Apple, they are still the most valuable company in the world, have some extraordinarily popular products and very loyal customers. So while I share what I believe to be growing weaknesses at Apple, they still control their destiny and are operating from a position of strength. The company most associated with creating new markets (what was a smart phone before the iPhone) and proving that categories that failed previously (the iPod) can be HUGE successes, hasn’t done anything new that’s been a big win. The flagship product is showing signs of weakness. In 2014, they had blow out success with the release of the iPhone 6 and 6 plus. While the phones were (are) great, they were followers, catching up to the success that the Galaxy suite of larger phones was experiencing. The most recent release has experienced moderate success at best, with rumors of production cut backs because demand is lower than expected. Its response to slowing iPad sales appears to have been the release of a larger iPad and a pencil (which I still haven’t been able to figure out a use for). One of Steve Jobs’ most famous decisions in turning Apple around was eliminating 70% of their product line, telling the world that Apple would focus on its core and would only grow from there. Today their product line is broad at best, and for most, very confusing. The company synonymous with creating products that were elegantly simple and intuitive, released Apple Music and the Apple Watch in the last year. Both offerings were (are) confusing and at times clunky. For the record, I use Apple Music almost every day and have come to really love it, but getting started was confusing and I almost gave up. I have an Apple Watch and like it very much, but I have to admit I’m not quite sure what its real application is and I know I’m not using it like I could because the interface is complex. Suddenly, the company that didn’t make you think, is making me think. Actually its best recent release is probably the update to Apple TV (which I do love), but it still represents a very small piece of the Apple portfolio. 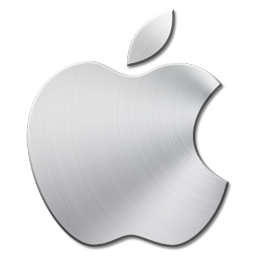 What prompted me to write this post is the latest rumor that Apple is developing an electric car. And while this is exciting to many, I actually think it’s a bad decision. It’s the type of shiny decision that prompts many executives from small and mid-sized businesses (SMEs) to seek fake growth and weaken their business. To understand this mistake, we must first focus on why Apple has been so ridiculously successful in the first place. Believe it or not, their products are not why they’re successful. Many people have made superior products (and Apple confirmed that when they followed the lead from Galaxy). The underlying cause of Apple’s dominance has been the maniacal focus and understanding of who their customer is. I’ve always said that the most important question any business can answer is “who do we want to be a hero to?” And no company demonstrated the clarity and focus on that answer that Apple has since Steve Jobs returned. That clarity allowed Apple to be laser focused on the problems, desires and wishes of their rabid fan base. They were so good at it that people literally believed that Apple knew what they wanted better than they themselves did. I used to joke that the only reason Apple would release a new product was because I needed it. That led me to buy products immediately upon release. I, and many others like me, owned every version of the iPhone, iPad, iMac and Powerbook. I spent A LOT of money on Apple products. But that’s no longer true. I’ve only bought one new model of the iPhone in the last three years, haven’t considered a new iPad and I don’t even know what options exist on the computer front - there are simply too many now for me to know (and be tempted by) what’s available. What I loved about Steve Jobs was that his decisions were not driven by the pursuit of profit (though make no mistake that profits absolutely mattered). Jobs’ decisions and actions demonstrated the belief that profits are the byproduct of doing great things, rather than doing great things being the result of profits. I can no longer figure out who Apple is trying to be a hero to. The epitome of a “why based company” seems to be losing its plot. Apple’s famous approach to design was driven by the clarity and desire to solve a problem (one that often no one else noticed until Apple solved it) for its core customer. But what problem is Apple uniquely solving today? What problem does its watch solve? What about the recent iPhone? The only answer I can come up with is that it solves Apple’s problem of releasing products at a pace that will continue to keep its stock price up. The last 11 months tell us it’s not solving that problem so well. What Altar Do You Pray At? Apple was never a company that focused on volume. Rather they focused on margins. They sacrificed short-term volume for long-term impact. Apple didn’t release cheap products to appeal to the low end of the market because the low end wasn’t their core customer. Then they released the iPhone 4c. As a business, you’re either praying at the altar of volume (being something to everyone and fighting commoditization) or the altar of margin (being the best to a defined group of customers). To be clear, you can be successful with either approach, though I’m partial to the latter. What you can’t do is sustain success trying to be both - and that appears to be precisely what Apple is trying to do. Get back to basics. Get really, totally, insanely clear on who you want to be a hero to. Understand that group of people better than they understand themselves. Identify the problems they want solved that no one is solving adequately and make that the focus of everything you do. There’s always a lot of conversation about the genius of Steve Jobs. Despite that I think people miss what his biggest genius was. He wasn’t a genius programmer or even designer. Rather he was probably the single greatest managing editor that’s ever lived. His ability to determine what shouldn’t be pursued is what enabled Apple to change the world. I hope Tim Cook, or whoever follows him, gets back to that playbook. By the way, I wrote this ebook a few years ago that in many ways was inspired by the formula that made Apple so successful. If you’d like to see the success formula in more depth, please download and read it.